These collections of samurai armor, ancient artifacts and futuristic technology are sure to pique your interest. It's a long-standing Japanese social custom to buy souvenirs for friends and colleagues during your travels. 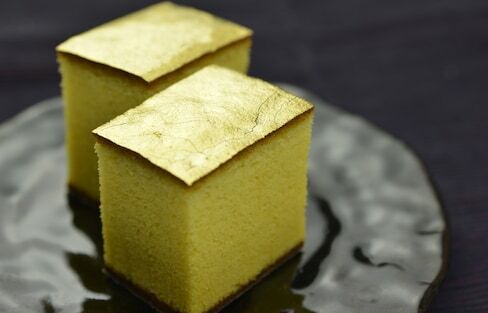 And if you're visiting Kanazawa, here are the sweet treats you need to bring back, including gilded cake! 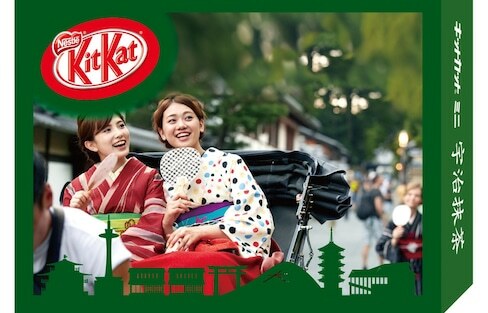 Customize your very own Kit Kat box to take home with you and share with your friends and family. 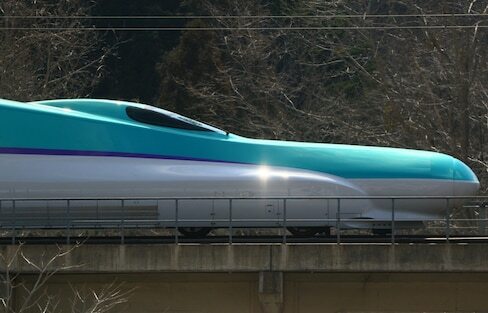 When Does the Hokkaido Shinkansen Start? Wondering if you can take the bullet train to Hokkaido? We've got some good, and not so good, news for you. Found in Fuefuki City, Yamanashi, this traditional Japanese inn offers seasonal cuisine that's to die for, as well as offering a great base for activities around the Mount Fuji area. One Japanese hot spring will wrap your face in gold leaf at a price that's more affordable than you might think. Do You Need a Tourist Visa to Visit Japan? One question we get all the time is regarding tourist visas. Read on to find out if you'll need to obtain a visa or not before planning your trip to Japan. Un! Uun! Un? Three words that sound awfully similar but have totally different meanings. Foreign guests welcome at lobby lounge function that sidesteps the cost and pretense of orthodox geisha services. Train travel in Tokyo can be either the most tiring or the most exciting experience with the seemingly countless number of network lines. Here are some tips to help you move around the capital of Japan and get the most out of your money. With overnight stays costing as low as the price of two meals, travelers can save big and relax in comfortable rooms situated right in the heart of the otaku capital. Kanazawa is known for its gold, its historical streets and its top-ranked garden. It can also serve as a brilliant base for a number of incredible sights in the region! There’s much more to the main island’s northernmost prefecture than just delicious apples. Don't be fooled by Hoshinoya Fuji's claim to be a 'glamping' resort. This is nothing less than the height of luxury in the woods! Earthquake , TOHOKU I found it! While September 11 is a tragic day in America, it’s not a fortunate day on this side of the Pacific either. September 11, 2017, marked six and a half years since the Great East Japan Earthquake on March 11, 2011. So how does the area look now? After a long day of sightseeing in Japan’s former capital, don’t forget to try this Japanese take on Irish coffee right across the street from Kyoto Station. As Japan prepares for the 2020 Olympic Games, many new facilities are being built, more signs are appearing in different languages and more tourist-friendly facilities are popping up. Let's take a look at one such service, Travel Hub Mix. If you're confused by all the buttons on a modern Japanese toilet, we're here to decipher all those mystifying symbols. The garden at the Tokiwa Hotel in Kofu City, Yamanashi was ranked the third-best traditional garden in Japan in 2012 and 2013. And even if you can't afford a stay in this top-class hotel, you can still visit the garden for free! It's no secret that transportation in Japan is expensive. With the trend of low-cost carriers (LCC) spreading all over the world, there are now more choices for cheap domestic flights. Here are some of the major LCCs that fly across Japan. There's so much more to discover on your second trip to Japan. Get out of the big cities and explore the wonders of Japan.